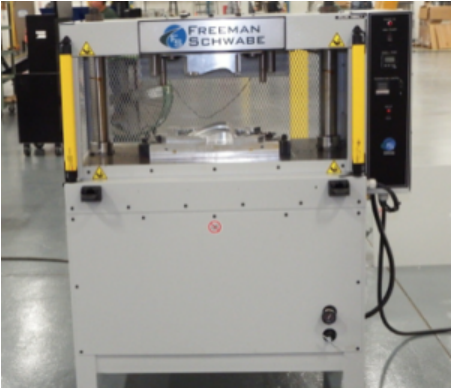 Freeman Schwabe supplies die cutting presses and large area folding edge machines to produce Auto Interior Trim. Entire cycle to edge fold the part is typically less than 10 seconds! 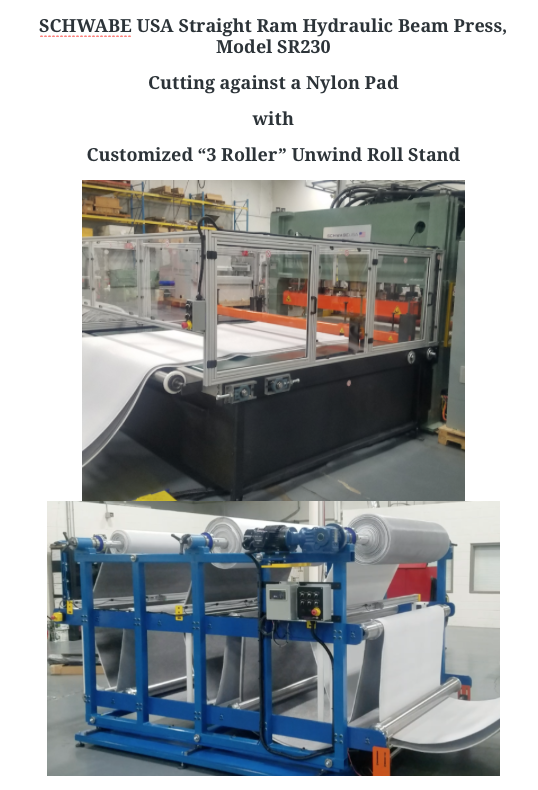 Production time can be reduced by at least 70% compared to manual methods of edge folding. Our Large Area Folding Presses are accurate and ensure repeatable folding of various applications. Ideal for flat folding applications as well as 3-D applications with or without heated tools. Built of rigid steel construction and single stroke pneumatic operation, these presses are simple to operate and minimal maintenance! The press is designed to accept various types of tooling and is easily and rapidly changed safely. Large Area Edge Folding Press (Model LAF) for manufacturing Auto Interior Soft Trim Components – Freeman SCHWABE.